Hot Links ! Yummy, great Websites, Blogs and On Line Newspapers and Radio that consolidate and produce the latest–the cool–the interesting–the weird–the scary in Sci-fi, Fantasy, Science and the Paranormal. Check them out. Jason Colavito debunks several of the alternative history and xenoarcheology shows. Ancient Aliens Debunked, another one that digs into the Ancient Alien Theorists rap. Saint Clair Research supports the idea that Sinclair a descendent of Vikings and Templars came to America before Columbus. Utah Paranormal: On-line paranormal radio. Check in on the latest shows and guests! Sci-fi Sentinel: Mixture of selected Sci-fi, Fantasy, and Science News. Always worth a look. Strong video and video related material. 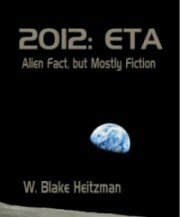 The Science in Fiction: Another mixture of Sci-fi and Science and other items of interest. Videos lean tend to be science related. Planet X Daily News: Want to learn about pole shifts and planet changes? Biology Facts Recommended: Loaded with interesting biological information, but the coolest thing is the lady, Alfonsina Monroe, has a bunch of other “Recommended” papers, including neuroscience and paleontology—well her too.